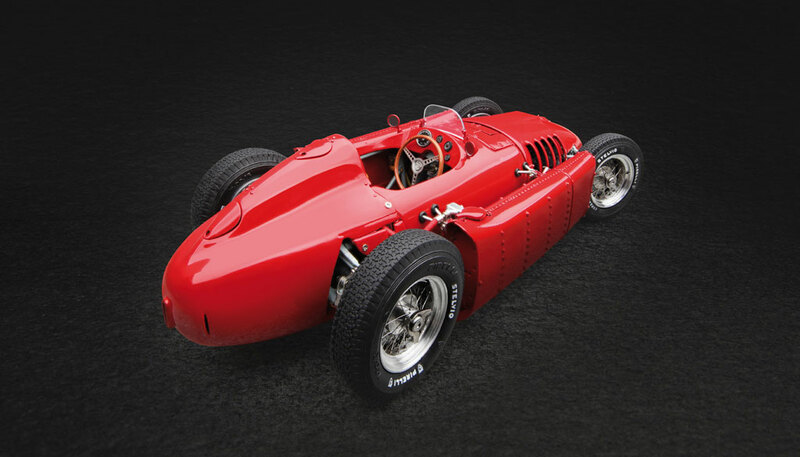 The Lancia D50 was expected to be a trump card that Lancia had for the Formula 1 races of the 1950’s, but things turned out differently. 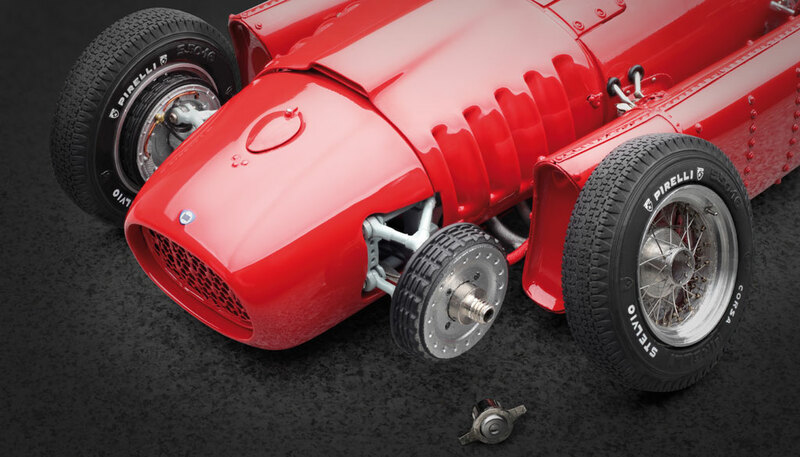 The renowned Vittorio Jano was commissioned by Lancia to design a racing car that would be more modern, more beautiful, and, above all, faster than rivals of the time. 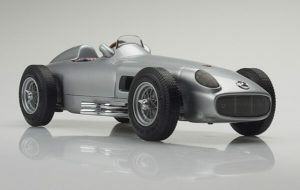 The primary goal was to prevail over the dominant Mercedes W 196. Jano presented an original and highly innovative monoposto, which was introduced to the public on February 20, 1954, for the first time. Jano’s design was far ahead of its time. 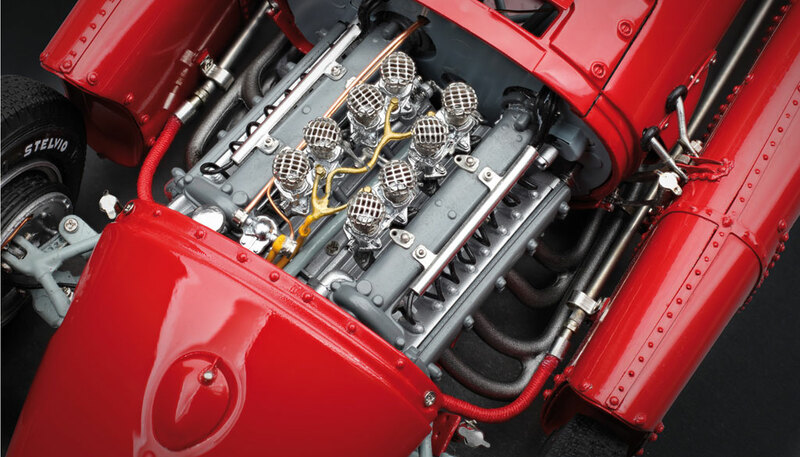 The Lancia D50 featured a 2.5-liter V8 engine with a 90° cylinder angle and a maximum output of 260hp. It was mounted on the chassis with a 12° veer off the central line of the vehicle. 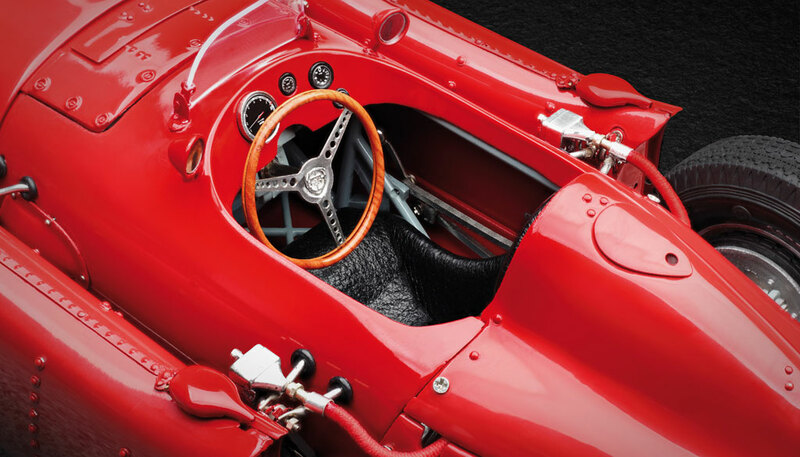 By doing so, it was possible to shift the dive-shaft to the left and make room for a significant lowering of the driver seat. 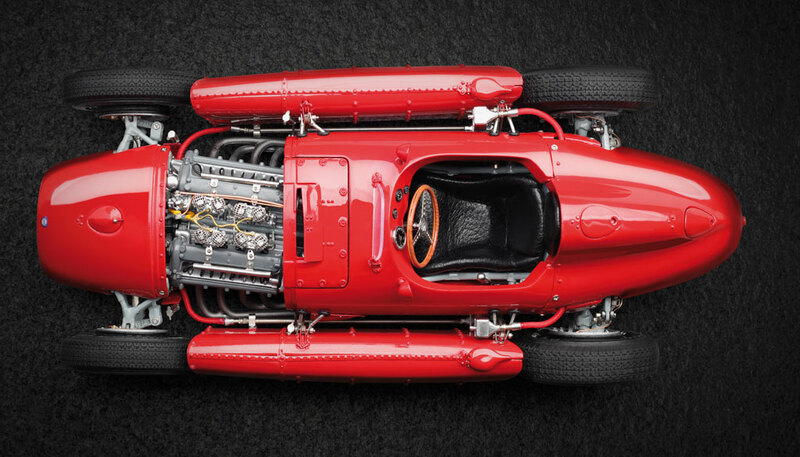 This enabled the monoposto to have a low overall height for better aerodynamics. 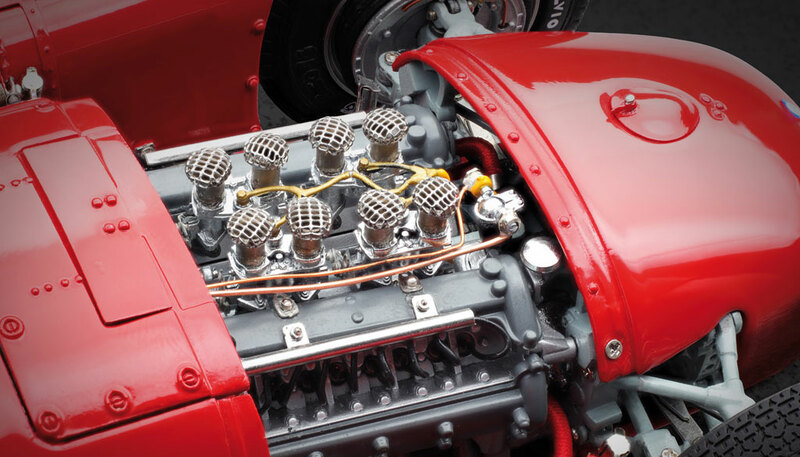 Another noteworthy characteristic is the integration of the engine into the structure of the tubular steel frame as a load-bearing stressed element. A more eye-catching feature is, of course, the pannier fuel tanks. 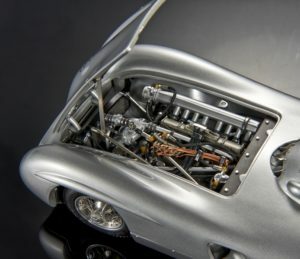 Each positioned along the body between the front and rear wheels, the two slim tank cells provided additional aerodynamic advantages. 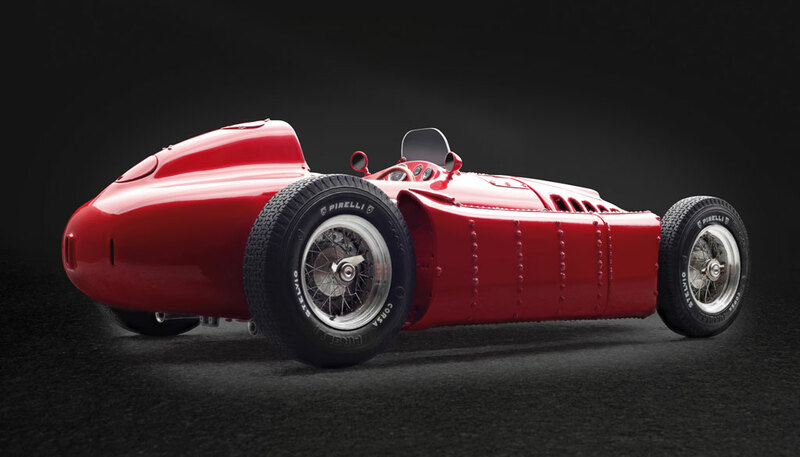 With a total volume of 200 liter, the Lancia D 50 could sustain an entire race without making a single tank-stop. The idea was that the less a car had to stop for refills, the easier its handling would be. 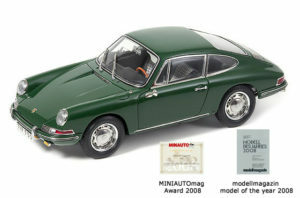 And more even distribution of weight with pannier tanks should be a big advantage over cars with tail tanks. 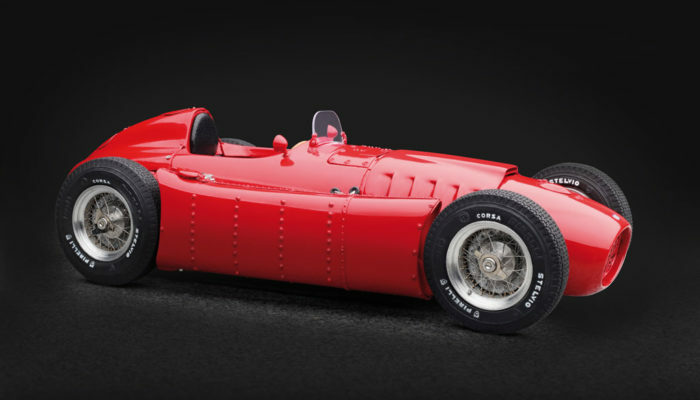 Scuderia Lancia consisted of two big shots — Alberto Ascari. 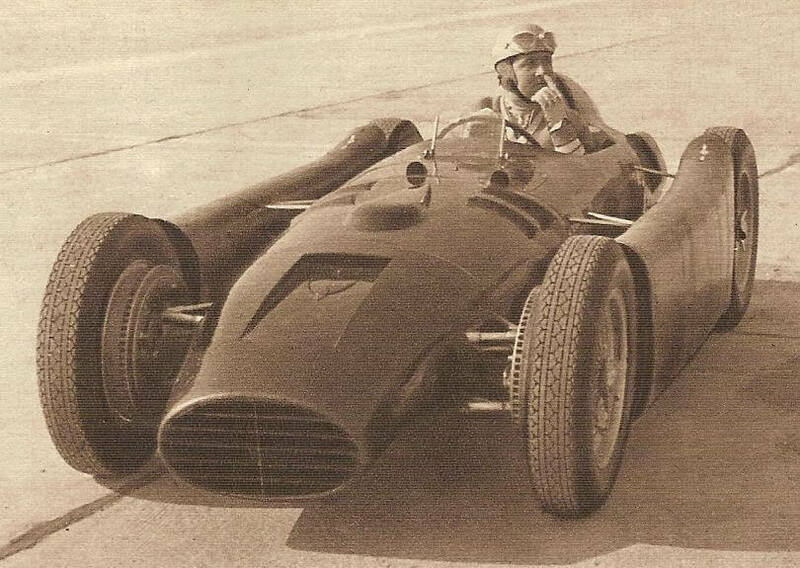 the two-time GP World Champion in 1952 and 1953 and Luigi Villoresi. 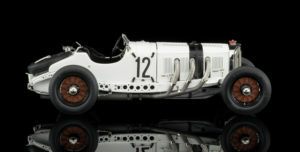 Later on, more outstanding race drivers joined the team. 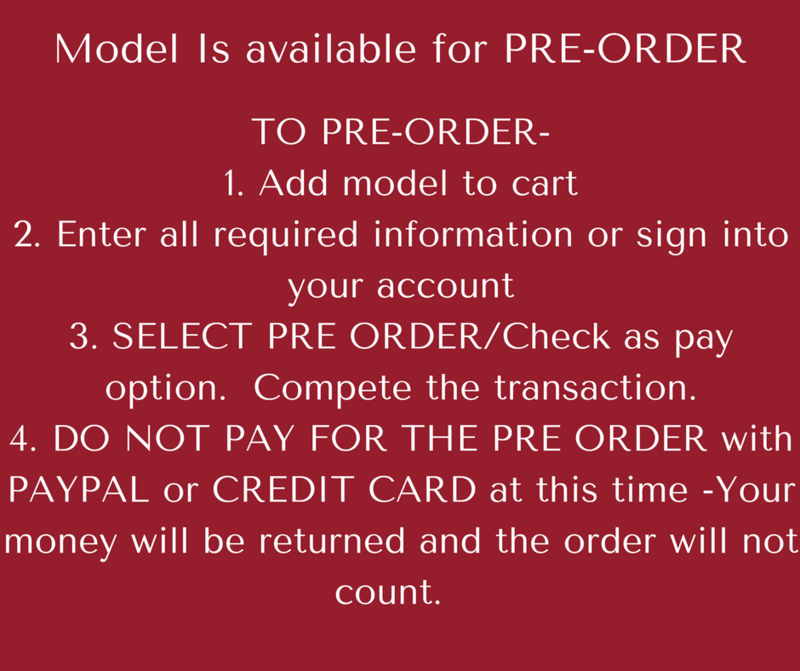 To see all the functioning parts of this model click on the link below to download the operating instructions for the Lancia.